A juvenile dependency case ensues when the Department of Children’s and Family Services has reason to belief that a child has been neglected, abused, mistreated, or put at risk. The Department then files a petition with the court, requesting that child become a dependent of the court. In such cases, the parents or caretakers of the child needs competent legal counsel and representation. As in any legal action, it’s important to be mindful of your legal rights in a juvenile dependency case, and of the legal requirements necessary to authorize any actions or decisions by the Department of Children’s and Family Services, and to protect your rights. If it’s a situation where things have taken place which put a child at risk, it’s important to acknowledge that the Department has the responsibility in Florida of seeking to protect children You have the right to receive a report on your case made by the social worker involved, and the right to a case plan to be presented to the Florida Dependency Court which protects the children and makes continued action by the Department over the long-term not necessary. You have the right to have a lawyer represent you in court in a juvenile dependency case. If your child was removed from your home, the court will decide in the initial hearing whether or not the child may be returned to you until further hearings. The legal rules in Florida for dependency cases expect everyone involved to work towards protecting the child, and to avoid placing a child in foster care if there are other appropriate options available. 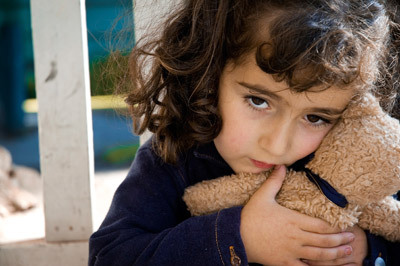 Florida Dependency Courts were established to hear cases regarding abused or neglected children. Dependency proceedings can be very difficult for children and their parents, so it is the goal of the court that such proceedings be quick, fair, and focused on the safety and well-being of the child. However, the safety of the child is of the utmost importance. Any minor child under the age of eighteen can be taken from his or her parents by the state if the parents are suspected of abuse or neglect. The primary goals of dependency court are; whenever possible, dependency proceedings work not to assign blame, but to actually try to resolve any problems in the home. Social workers work with parents and children through dependency court to correct issues in the home and improve the parent child relationship. This is done in the hope of keeping families together as much as possible, but some problems simply can’t be fixed. If you are the parent or an interested party in a juvenile dependency case, the experience legal team at Eric Boles Law Firm in Tampa, Florida can counsel you on proceedings involving allegations of abuse, neglect, or abandonment. For a free consultation with a Juvenile Dependency Lawyer contact the Eric Boles Law Firm by completing the contact form (click here) or call (813) 933-7700. Let us help you with your juvenile dependency case!